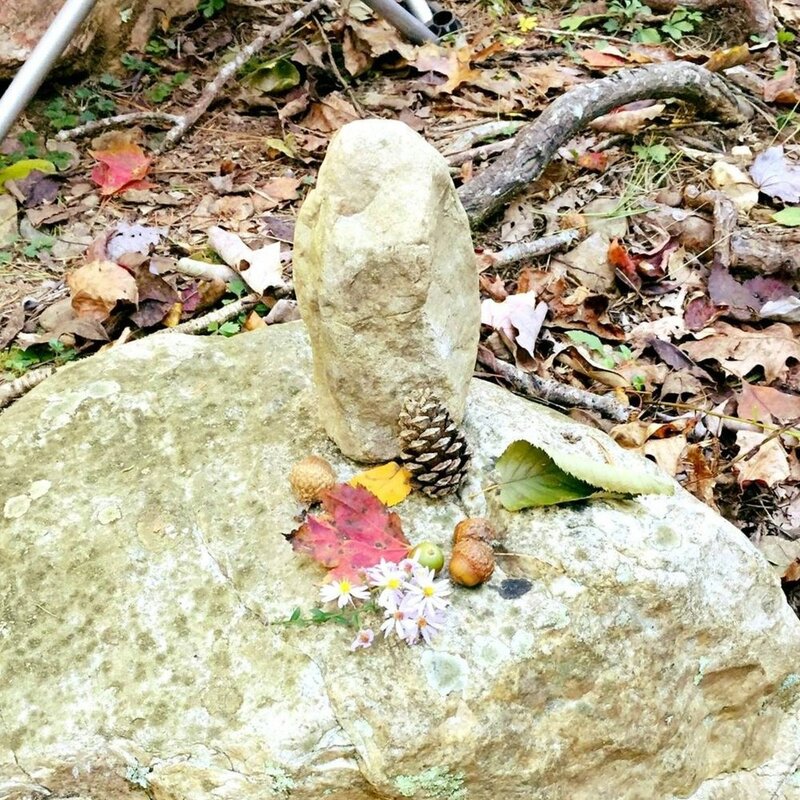 Shenandoah Valley Church of the Wild meets in the George Washington National Forest on Hone Quarry Run on traditional lands of the Petun People and the Shanantoa or Senandoa People and the Iroquois Confederacy, among others. We gather in community with trees, shrubs, flowing waters, stones and four-leggeds, multiple-leggeds, winged and finned ones, to re-member ourselves as interconnected with these animate and inspirited ones. We gather to expand relationship within the sacred wilds of this community, learn from the vast intelligence of these beautiful beings, and live more deeply into our own soul for the wholing and healing of the world. We gather to celebrate, mourn, listen, share, acknowledge, deepen, love the diversity of the beings in this ecosystem, including each other, and our own truest Self. And experience this as loving and celebrating God.